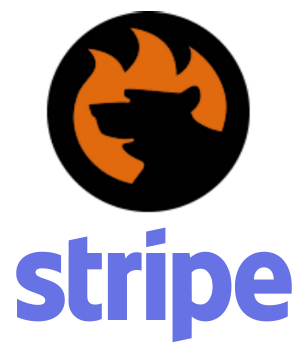 We are happy to announce our new module – Firebear Stripe Express Checkout for Magento 2. This extension implements an entirely new approach to Magento 2 checkout that eliminates the need to use the default payment options and allows avoiding the complicated checkout procedure. As a result, you get the analog of PayPal Express on the basis of Stripe that is much more user-friendly: a new order can be placed right on a product page in one click (tap) with the help of a payment card, Apple Pay, or Bitcoin. Below, we shed light on core features of the Magento 2 Stripe Express Checkout extension as well as emphasize its competitive advantages over other similar solutions. As we’ve just mentioned, Firebear Stripe Express Checkout for Magento 2 is based on the same principle as PayPal Express, but our Magento 2 payment gateway extension allows providing payments right from a product page or a cart page. It is only necessary to click a single button to complete the order. Consequently, the shopping experience is dramatically enhanced, since your customers no longer need to pass the complicated checkout procedure to get the desired items. A new button is added to both product and cart pages to enable the new way of e-commerce payments. And since PayPal Express (that is available for both Magento 2 and 1 out of the box) provide similar functionality, we’ve decided to find an alternative solution that implements even better shopping conditions for the platform. And it is Stripe. But before diving deep into the Magento 2 Stripe extension functionality, let’s figure out what benefits are available in Magento 2 PayPal Express. With Magento 2 PayPal Express Checkout, you can effortlessly add PayPal to the checkout page of your e-commerce website, seamlessly selling goods to customers in more than 200 markets worldwide. Note that there are lots of potential buyers, who want to use PayPal only, so if you don’t provide the corresponding option, they will never complete any order on your Magento 2 website. The same is about Stripe; there are lots of customers willing to use this payment option since it is reliable, fast, and secure. Therefore, it’s better to provide the desired functionality than to expect that there aren’t many people who want to checkout with stripe only. But let’s return to Magento 2 PayPal Express Checkout once again. With 203 million active accounts, this payment option becomes very attractive from the perspective of the improved shopping experience and, as a result, increased conversion rate. By providing an absolutely new level of ease, convenience, and security, PayPal Express Magento 2 payment gateway helps you turn more shoppers into buyers. Increase Conversion Rate: you can activate PayPal Express Checkout or install the Magento 2 Stripe payment gateway extension to improve checkout conversion dramatically. And while PayPal simplifies the normal checkout process, our Magento 2 Stripe extension allows eliminating all the difficulties related to its completion: an item can be purchased right on a product page or in a cart. Improve Checkout Performance: entering billing and shipping addresses is no longer mandatory with PayPal Express Checkout. As for the Magento 2 Stripe payment gateway, this extension radically increases the checkout speed by reducing the need to go to the standard checkout page. Instead, it provides a tiny popup window with already specified information (if it was previously saved), so customers don’t need to waste time entering various order details manually. Get Started Quickly. As we’ve just mentioned, PayPal Express Checkout is fully integrated into Magento 2. In case of the Magento 2 Stripe Checkout extension, you get a hassle-free installation and user-friendly configuration. All backend processes are fully automated, and the settings section can be mastered within just a few clicks. Besides, you pay no monthly or hidden fees for using PayPal Checkout. The rate is 2.9% + $0.30 per U.S. transaction. Stripe offers absolutely the same conditions, so let’s focus on its other advantages and core features of our extension. Convenience: Stripe checkout button is added to product and cart pages. Note that we are not going to add a new payment gateway to the standard checkout page – several reliable extensions already do this. Our Magento 2 Stripe Express Checkout module offers an absolutely new way to pay for goods and services from product and cart pages in a much more convenient manner avoiding the necessity to fill in the standard checkout form. Conversion Growth. It’s evident that the decrease of purchase steps leads to the conversion growth. You can complete the purchase right on a page of the desired product, so the amount of shopping steps is dramatically reduced in comparison to the default procedure. So not only a checkout page but also a cart page (but we still provide the appropriate button there) – where your conversion goes down – may be avoided from shopping! True Zero Step Checkout. As you have already guessed, Firebear Stripe Express Checkout for Magento 2 is the only one zero step checkout Magento 2 extension in the whole ecosystem. Regularly reviewing the most essential Magento 2 one step checkout modules, we know for sure how to make the shopping experience even better. So our Magento 2 Stripe Express Checkout module offers the most user-friendly way to complete every purchase. One Click Purchase. Since millions of shoppers have credit card data, shipping address, and other information saved on Stripe, you allow them to buy on your storefront with one click by installing our Magento 2 Stripe extension. Mobile First Experience. Firebear Stripe Express Checkout for Magento 2 is suitable for both desktop and mobile devices. The extension is user-friendly and extremely easy to use on all screen sizes. Apple Pay Support. The Magento 2 Stripe Express Checkout extension is fully integrated with Apple Pay so that you can leverage this technology on your website with Magento 2 zero step checkout and one-click purchases. Bitcoin Support. To follow trends, Stripe offers the Bitcoin support as well. Thus, you can quickly add the ability to pay with the most popular crypto through your website without even going to a checkout page. Support For Custom Shipping Address & Discounts. Firebear Stripe Express Checkout for Magento 2 fully supports custom shipping addresses and discounts. Everything is integrated with Magento 2 order flow with status updates. Now, when you know core features of our Magento 2 zero step checkout extension, let’s look at Stripe in action. As you might have already guessed the Magento 2 Stripe Express Checkout extension adds a button that triggers a popup window on product and cart pages. The embeddable payment form is suitable for desktop, tablet, and mobile devices so that customers can pay instantly from any screen. No redirects are used to complete the transaction, which also makes our Magento 2 Stripe extension one of the most convenient checkout solutions in the whole Magento ecosystem. Stripe creates a token that can be used not only for charging a card, but also for creating new customers or starting a subscription, etc. Specify email, card number, expiry, and CVC to complete the purchase. Note that the Firebear Magento 2 Stripe Express Checkout extension allows saving the provided information for further usage. Additionally, you should also offer your contact number. When the data is provided to the service, it is only necessary to hit the “Pay” button that also shows the required amount. In addition to English, the Magento 2 Stripe Express Checkout supports Simplified Chinese, Japanese, German, Spanish, French, Italian, Dutch, Danish, Finnish, Swedish, and Norwegian. Thus, people all over the world can understand the Magento 2 zero step checkout. And if you are looking for Apple Pay for Magento, we have good news: the Magento 2 zero step checkout extension fully supports it. Stripe Apple Pay Magento integration eliminates the need to type card or shipping details manually. Your customers can only check out just with their fingerprint, but you get all the necessary information, including payment, shipping, and contact details. In addition to Magento 2 Apple Pay integration, Firebear Stripe Express Checkout for Magento 2 offers the ability to utilize the Magento Bitcoin tandem. Let your customers use the popular cryptocurrency to pay for goods and services provided on your store. Why is it so important? It seems that altcoins are the future of e-commerce. More and more people worldwide invest into crypto so that they can use it for online purchases. Thus, if you don’t provide the appropriate payment options, you lose potential customers. And you don’t want to miss them, right? 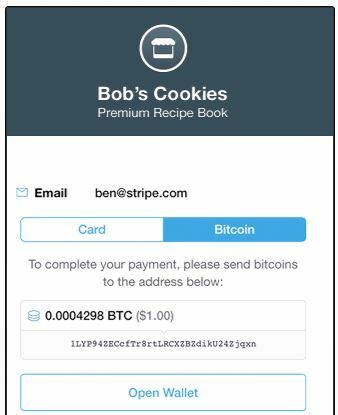 Stripe allows accepting payments from any Bitcoin wallet or service. Customers only need to select the corresponding payment option. And while the Stripe platform provides two ways to integrate Bitcoin payments with Magento 2 – an API for your form or a code integration for checkout – our module fundamentally improves this process by introducing out of the box support right in the payment popup on the product or cart page. Stripe charges 0.8% per each successful Bitcoin transaction. If you are looking for a tool that allows you to eliminate additional expenditures (except the miner fee), check the following Magento 2 Bitcoin modules: ShapeShift for Magento 2 and CoinPayments for Magento 2. Note that more payment types will be added soon, so we will also enable them in our Magento 2 Stripe extension. Even the most mobile-friendly interface turns online shopping into a headache on small screens. Payment becomes frustrating, and customers leave a store without completing an order. As a result, cart abandonment rate grows and you lose sales. In order to solve the problem, the Magento 2 Stripe Express Checkout extension by Firebear adds 1-tap mobile payments introduced in the Stripe checkout, so completing orders on phones and tablets is no longer a problem. There is no need to type long credit card numbers and providing shipping information. Customers should enter the appropriate data once saving it for further usage. The Magento 2 Stripe extension allows storing personal data and connecting it to an email address and a phone number. Next, every payment can be completed with a single tap. And each transaction is secured by a single-use SMS code! Let’s figure out what benefits are provided by our Magento 2 Stripe module. First of all, the extension eliminates the need to pass the default checkout procedure. A customer can complete the purchase in a shopping cart or right on a product page, which is primarily convenient when a buyer wants to purchase a single item. The second important aspect of Firebear Stripe Express Checkout for Magento 2 is a convenient integration with our favorite e-commerce platform. It is no longer necessary to create the Magento 2 stripe connection manually writing complicated code. You only install and configure the module within a few clicks, and your conversion starts to grow. When an order is placed on a product page, it is automatically created in the backend section with the appropriate status. You only have to select this status as well as turn on/off several other options (more details are described in the Firebear Stripe Express Checkout Magento 2 Extension Manual). 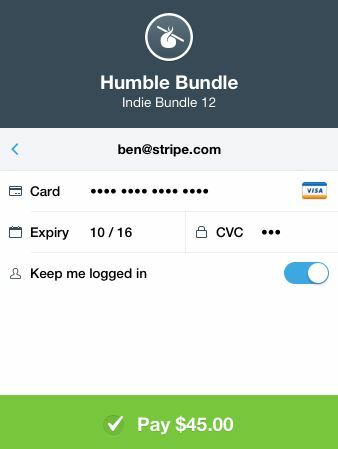 The third competitive advantage of the Magento 2 Stripe extension is ultimate mobile support with one-tap payments. 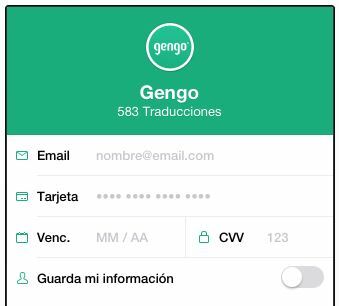 If the necessary information is specified and saved for further usage once, a customer can complete the purchase in just one tap. The fourth benefit of the Firebear Stripe Express Checkout Magento 2 extension is the support for multiple payment methods including Apple Pay. And don’t forget about the Magento 2 Bitcoin opportunity of the module. Support for custom shipping addresses, discounts, and multiple languages also makes Stripe (and our Magento 2 zero step checkout extension) a better option than any similar solution available in the ecosystem. Firebear Stripe Express Checkout for Magento 2 is under development but should be available soon somewhere between the end of this year and the beginning of the next one. Subscribe to our newsletter to get the release announcement alert, discover more features, and explore the Magento 2 Stripe demo as soon as possible.